Earlier this week Andres Manuel Lopez Obrador was sworn in as the next president of Mexico. Just before his inauguration, vicious Mexican cartels lobbed two grenades at the U.S. Consulate in Guadalajara. The act occurred when the consulate was closed, and no one was injured. But it immediately caused alarm among government officials and security experts who question whether it was meant as a test for the new Lopez Obrador government, to provoke the Trump administration, or both. Near midnight on Friday, a person, caught on film, tossed two grenades into the U.S. Consulate General compound. Grenade fragments were found at the scene and the blast left a 16-inch hole in an exterior wall. The damage was considered minimal. A reward for $20,000 has been posted by the consulate for information leading to an arrest of the suspects. "The Federal Bureau of Investigation, in conjunction with other U.S. and Mexican law enforcement partners, are seeking the public’s assistance in learning the identity of the individual or group responsible for the attack at the U.S. Consulate in Guadalajara last week. On November 30, 2018 at 10:48 p.m., an unidentified individual threw two grenades, which exploded on the United States Consulate compound in Guadalajara, Jalisco," the consulate released in a statement. "The FBI is offering a reward up to $20,000 in exchange for information leading to the identification and arrest of this individual or group responsible for the attack," the statement continues. "Anyone with information about this incident or as to the identity or the whereabouts of this individual is urged to contact investigators at a toll free number 001-800-225-5324 or at 33-3268-2349. All information can remain anonymous and confidentiality is guaranteed." The violence in Mexico continues to rage out of control with kidnappings, beheadings, torture and more. 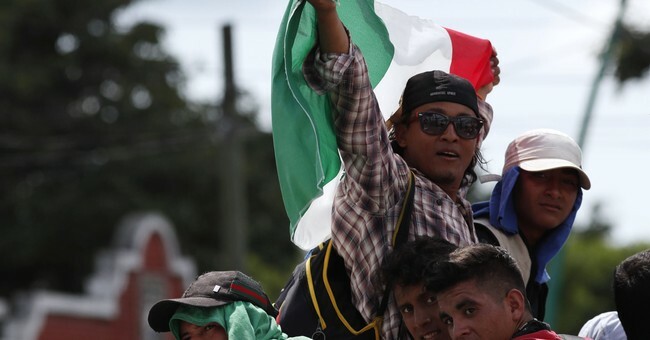 President Trump has vowed to work with Mexican President Obrador to combat a number of issues.